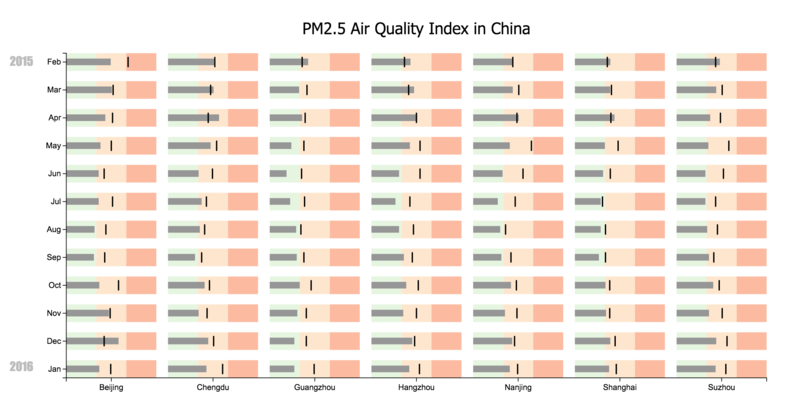 The PM2.5 air quality index in China as a series of bullet charts. The line segment shows the air quality value for the previous year. Berman, Lex, 2017, “China AQI Archive (Feb 2014 - Feb 2016)”, doi:10.7910/DVN/GHOXXO, Harvard Dataverse.